Climb inside the Spitfire MK16 and take the pilot’s seat, learn about the aircraft and see what it would have been like to fly a Spitfire. Please wear flat shoes with a good grip on them. Please note: we cannot allow the public access without appropriate footwear. 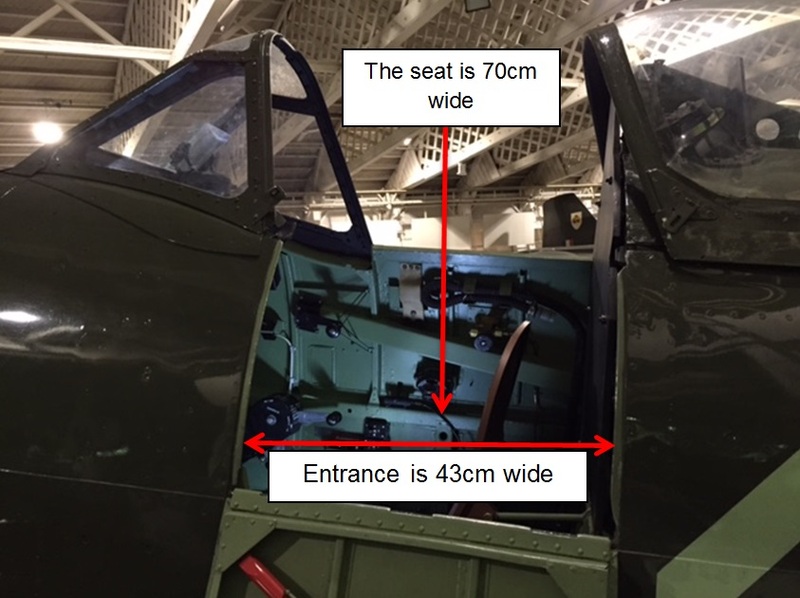 Spitfire Cockpits are small - please see measurements below for your information. If the museum feels that it is not safe or possible for you to access the Spitfire MK16 cockpit then we reserve the right to refuse access. Please refer to the terms and conditions displayed at the experience before purchasing your ticket. This new experience is at 11.15am - 4.15pm daily. 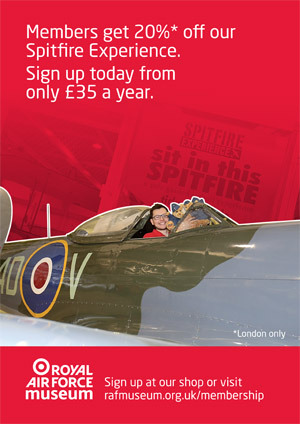 Just turn up on the day and make your way to our Mark 16 Spitfire in Historic Hangars, where you will be able to book your time slot on the day. All ticket sales help to support the RAF Museum.